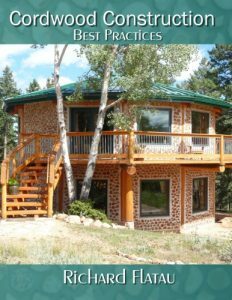 What is tinier than a tiny house? 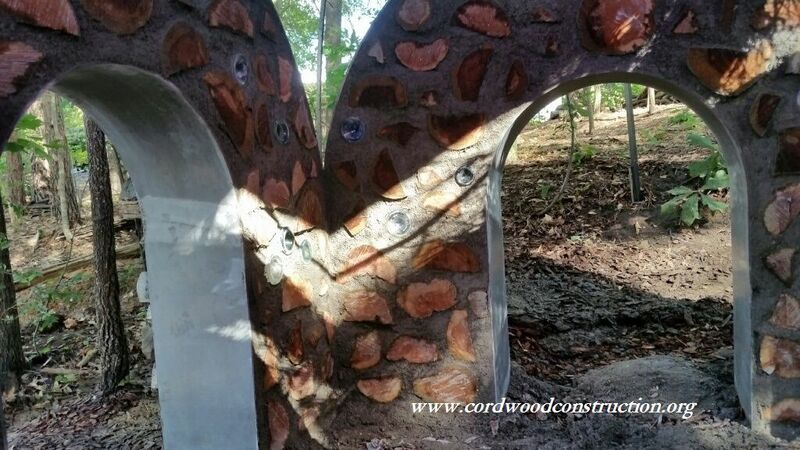 Well, a Wee Cordwood Playhouse that’s what. 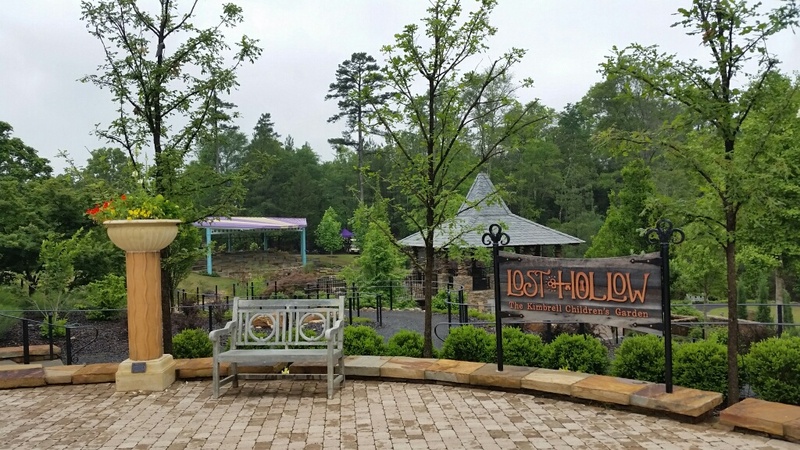 We were privileged to work with the staff at the Daniel Stowe Botanical Gardens in Belmont, North Carolina in their Children’s Gardens called Lost Hollow and Wicket Thicket. At 64 sq. 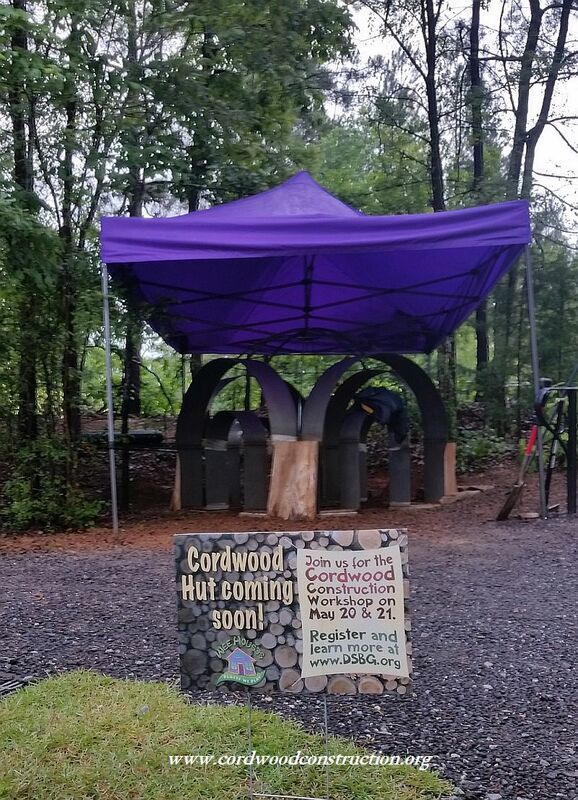 ft. of floor space this could be one of the tiniest wee houses ever:0) The purple tent protected the cordwood masons as they learned the fine art of cordwood construction. 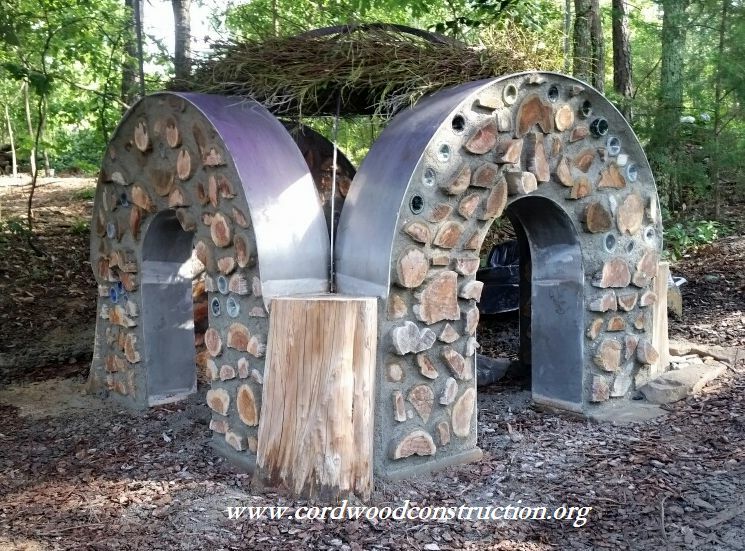 Architect (Gary Smith) wanted a children’s play hut based on the gothic arch. 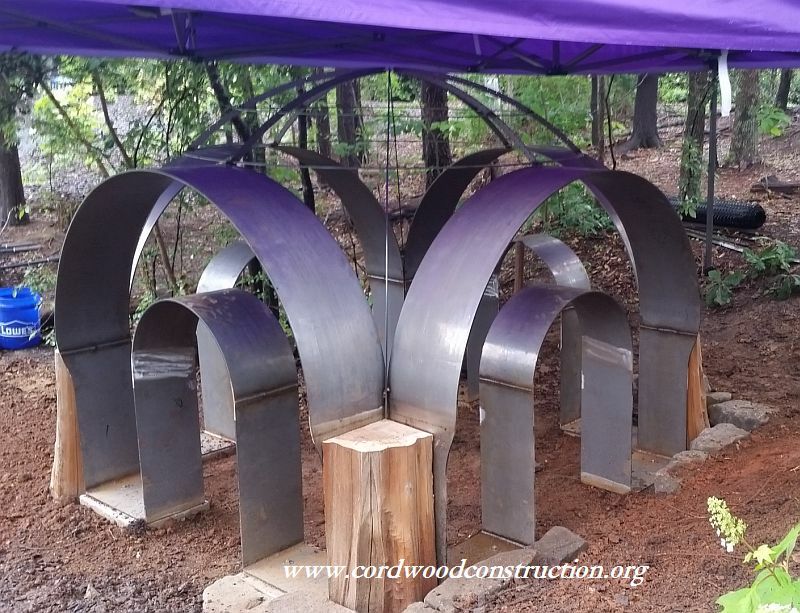 A donor metal fabricator provided the frame, the Garden Staff provided the materials and a wonderful group of nine hardworking “cordwooders” provided the labor. 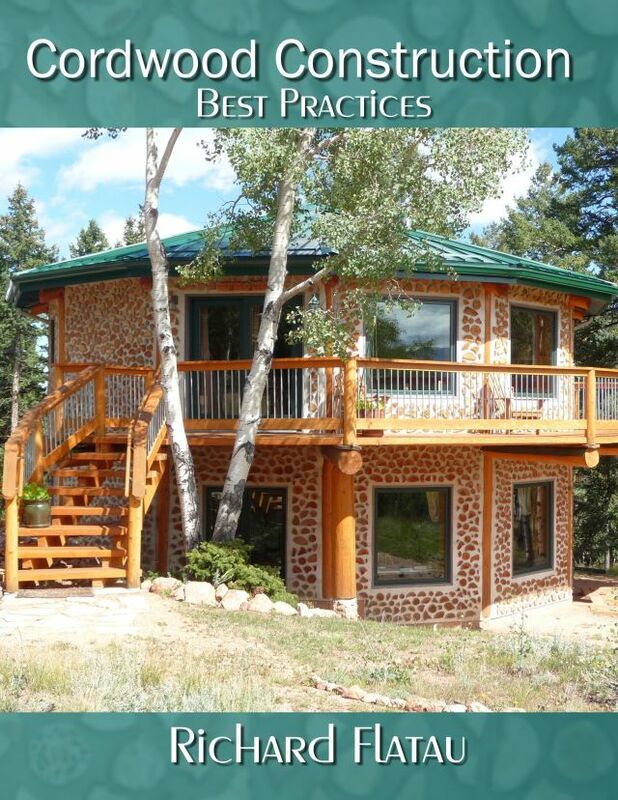 The mushroom motif gives an earthy feel to the hut. 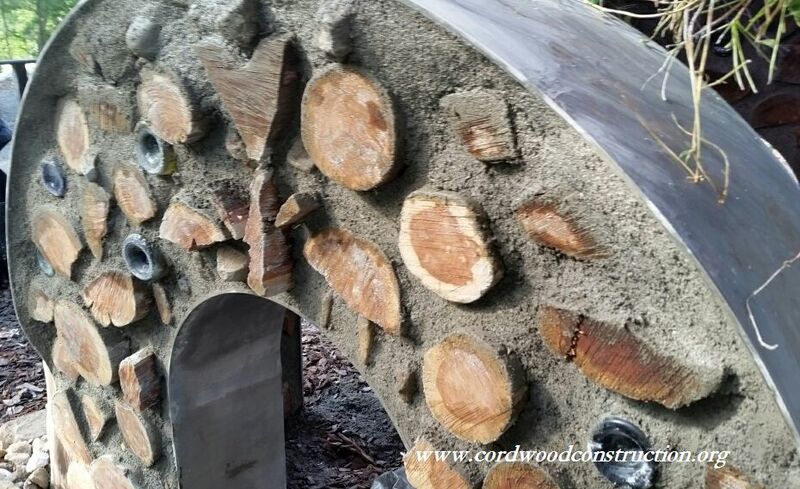 A garland ring of leaves and branches (more will be added) will comprise the roof. 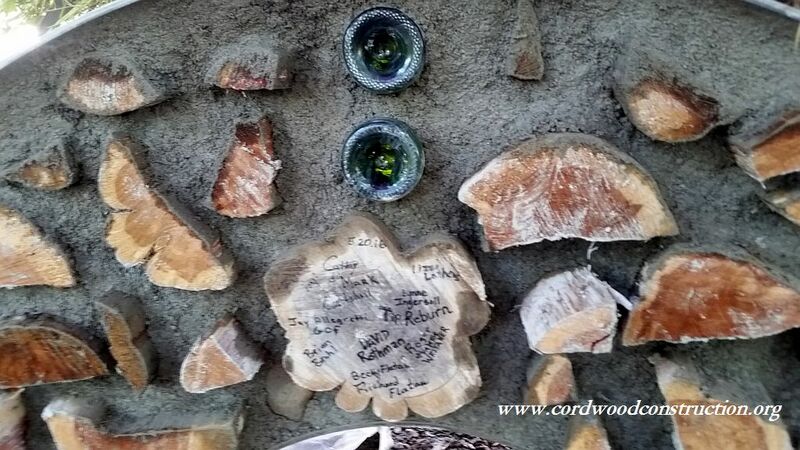 A tulip from red cedar over the entranceway. Inside a cozy hut, get your imagination ready! 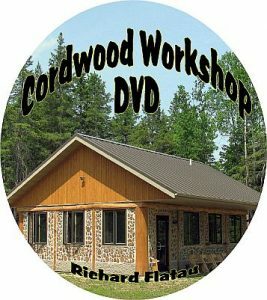 The cordwood masons inscribed a log end. 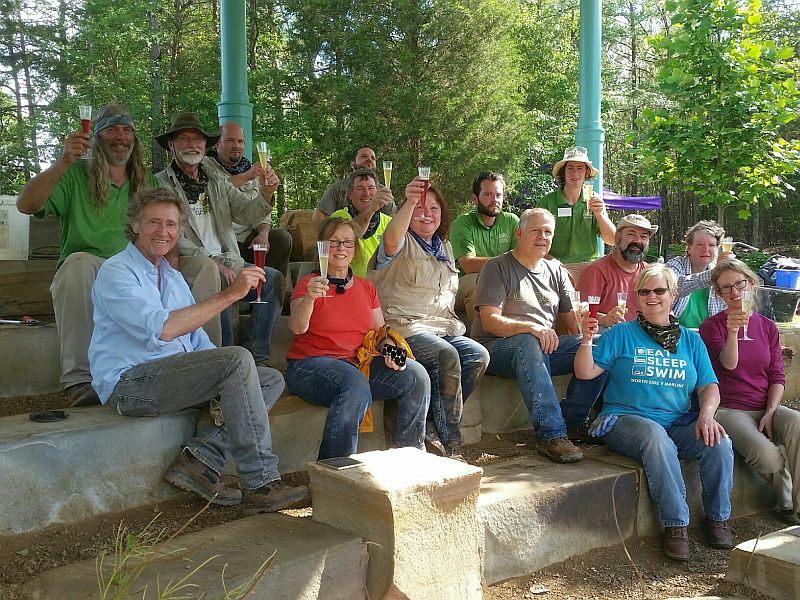 Here the Botanical Garden Staff celebrates the fine work of the cordwood crew. This is the first time we have ever been fetted with flutes of champagne and sparkling cider. 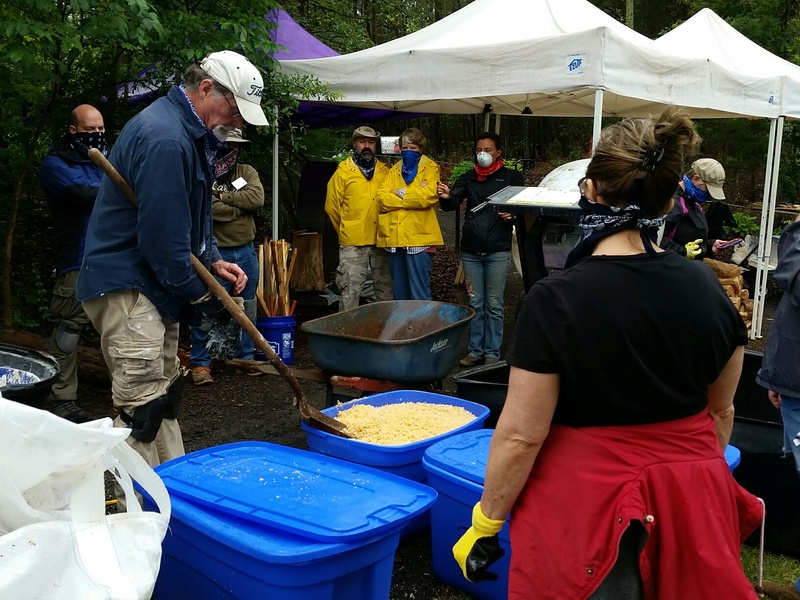 The class participants pay careful attention to a lesson on the wonderful ways of sawdust. 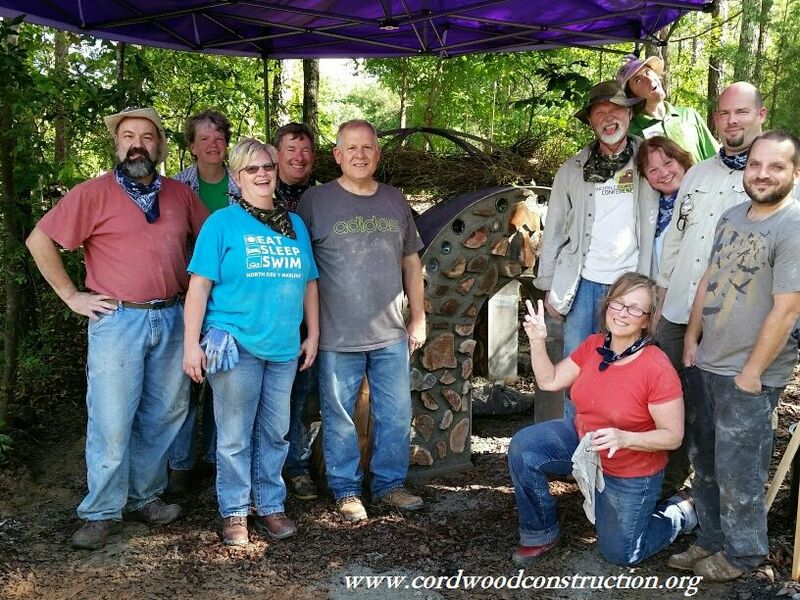 The happy crew celebrating the completion of the Cordwood Hut with silly faces. 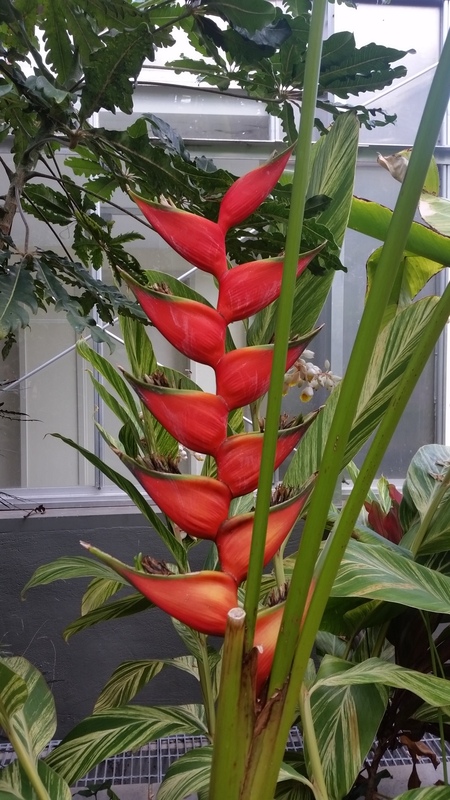 This is a botanical garden and has a large conservatory of tropical plants. 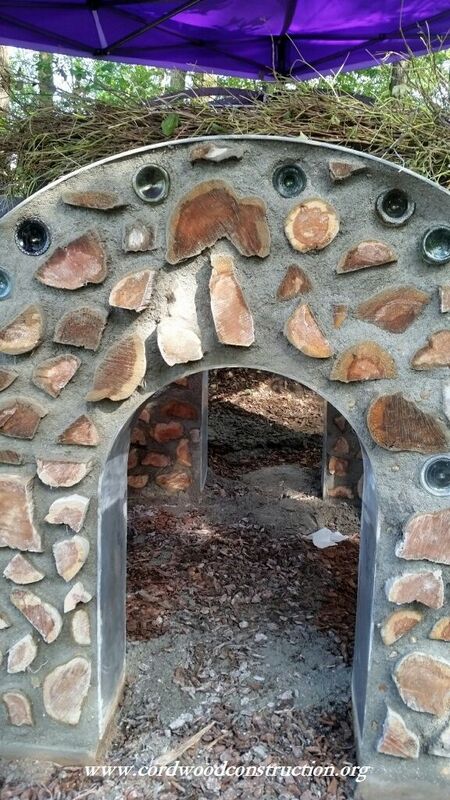 It also boasts a “Moon Keep,” castle ruins and an outdoor theater at Lost Hollow. 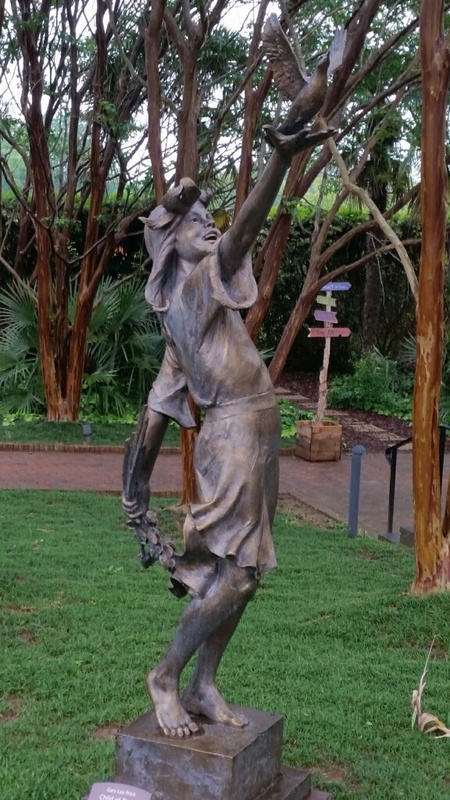 Here among the crape myrtle trees is a symbol of childhood freedom and wonder.